This statistic displays the number of practising nurses employed in the health sector in Latvia from 2000 to 2016. 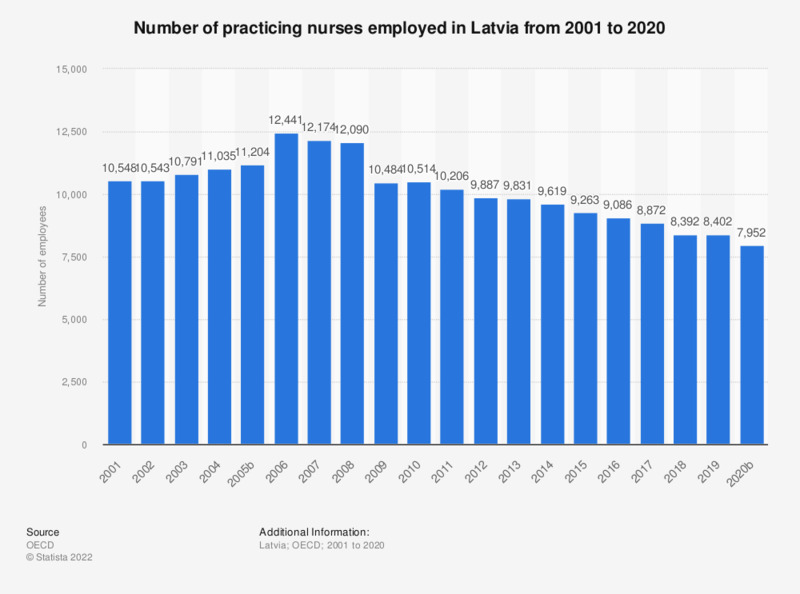 2006 saw the largest number of nurses employed in Latvia, with approximately 12.4 thousand employed. In 2016 there were 9,086 individuals practising nurses.